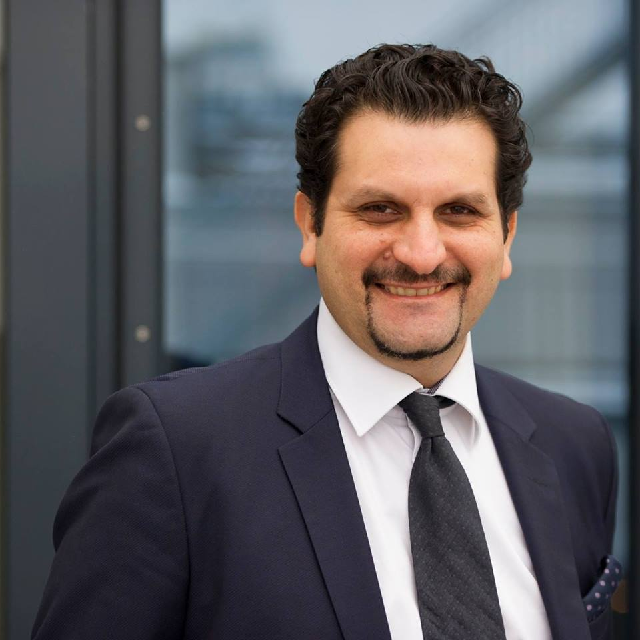 Yannis Salavopoulos (MBA, MSc), is Managing Director, Global Sustain GmbH & Group Head International Affairs. He is also Visiting Lecturer for Public Affairs at SRH Berlin University and Senior Advisor for Public Affairs/Policy & Strategy for various companies. Yannis entered Global Sustain after a successful career in Economic Diplomacy, representing, for over a decade, Greece in Germany and earlier in United Arab Emirates. He served from 2007-2014 as First Embassy Secretary for Economic & Commercial Affairs at the Embassy of Greece in Berlin (Deputy Head of Economic Section). Before Berlin, he served as Third Embassy Secretary for Economic & Commercial Affairs at the Embassy of Greece in United Arab Emirates, (Dubai). He was responsible at both posts for bilateral economic, trade, exports, investment relations as well as for finance, energy, climate and sustainability policy issues. Till recently (2014-2015) he was at Ministry for Foreign Affairs in Athens Expert & Desk Officer for the bilateral economic & trade relations of Greece to Germany, USA (TTIP too), Canada (CETA too), Austria, Switzerland, Sweden & Cyprus. Before entering the Diplomatic Corps of Economic Diplomats, he had worked as a Lawyer with expertise in corporate, commercial & EU Law, having a great experience on regulatory affairs. He was a Member of Athens Bar Association.Yannis holds an Executive MBA in International Management (Anglian Ruskin University Cambridge + Berlin School of Economics & Law) & an Executive Master of Sciences in Law & Economics (ALBA Business School, Athens). He holds a Bachelor in Law from the Aristoteles University of Thessaloniki. He is a Senior Expert on Sustainability & Climate Policy & Strategy, Responsible Investing, Government / Public / Economic Affairs & Strategy. He is also Member at the Supervisory Board of the German European Business College (EBC Hochschule). He was elected twice as President at the Club of Economic & Commercial Diplomats in Germany. He is Founder & President of Innovative Public Affairs Network & Think Tank, CAPITALS Business Circle (www.capitalsbusinesscircle). He is Member of the International Bankers Forum in Germany. He is very often public speaker and trainer. He has written various articles on press about above topics. He speaks & writes excellent German, English & Greek.